Every door is designed, manufactured and built to last. As standard, we offer a 5 year hardware and 10 year manufacture guarantee from date of delivery. If anything does go wrong our customer service team are here to help from 09.00 until 17.30 Monday-Friday. All door hardware (handles, letterbox, locks) has a 5 year warranty, subject to regular maintenance and cleaning. The performance and quality of all profiles, door slabs, sealed glass units and gaskets are guaranteed for 10 years from date of delivery. We guarantee that the colour finish will not fade for 10 years as long as you regularly wash the product with warm soapy water. Do not try to clean the products with solutions containing bleach or abrasive cleaners. 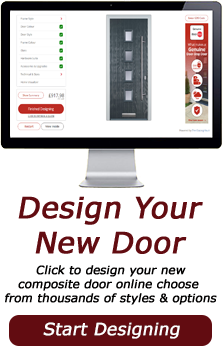 The experts have proven our GRP composite doors last for 35 years - longer than any other type of entrance door on the market. This guarantee excludes faults caused by accident, neglect, misuse and and general 'wear and tear'. In the unlikely event that a problem develops during the guarantee period, we will simply replace the faulty item. We will do our best to match any previous parts supplied, but due to availability of materials this may not be possible. This guarantee is only valid for doors supplied and fitted within the UK.